Throughout the years, Tacoma-Pierce County has been fortunate to receive acclaim and publicity thanks to the national and international caliber of athletes and teams. There has never been one place in which these athletes, as well as the countless number of other recreational, amateur and professional athletes could be recognized for the distinction they have brought or will bring to our community. 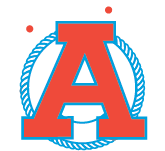 Under the auspices of the Tacoma Athletic Commission, which was founded in 1943 and dedicated to the promotion of amateur athletics and civic betterment, and a generous contribution by Fred Shanaman, Jr., the museum became a reality when it opened in October 1994. © 2016 Tacoma Sports Museum.